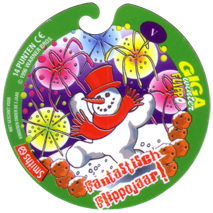 Info:These Giga Winter Flippos are much larger than the standard size Flippos. 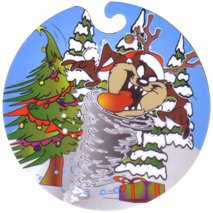 They have a cut out area at the top that would allow you to hang them from a thin Christmas tree branch like a bauble. 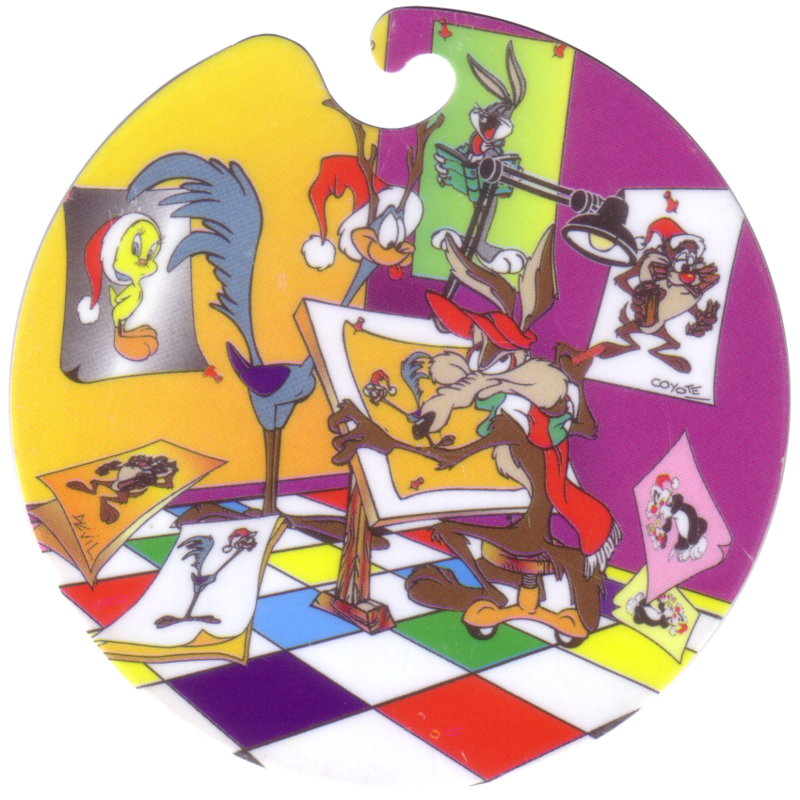 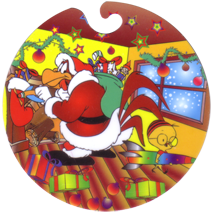 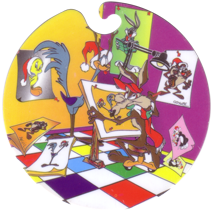 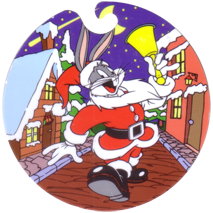 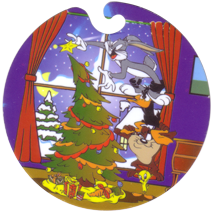 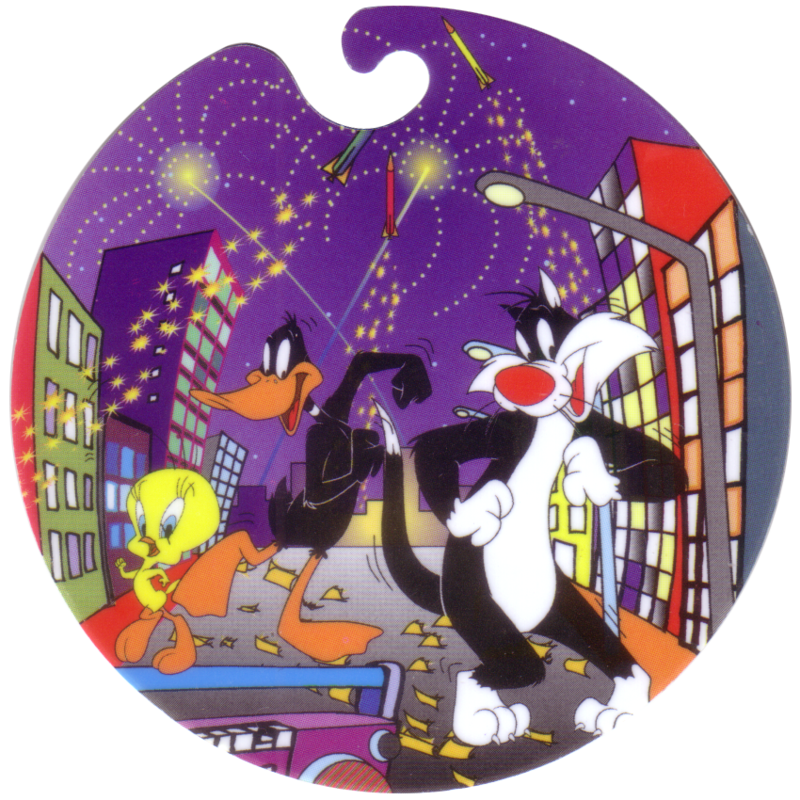 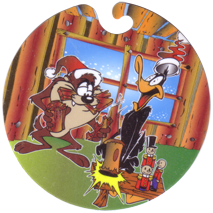 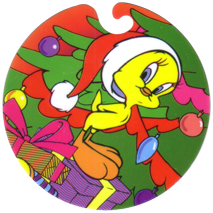 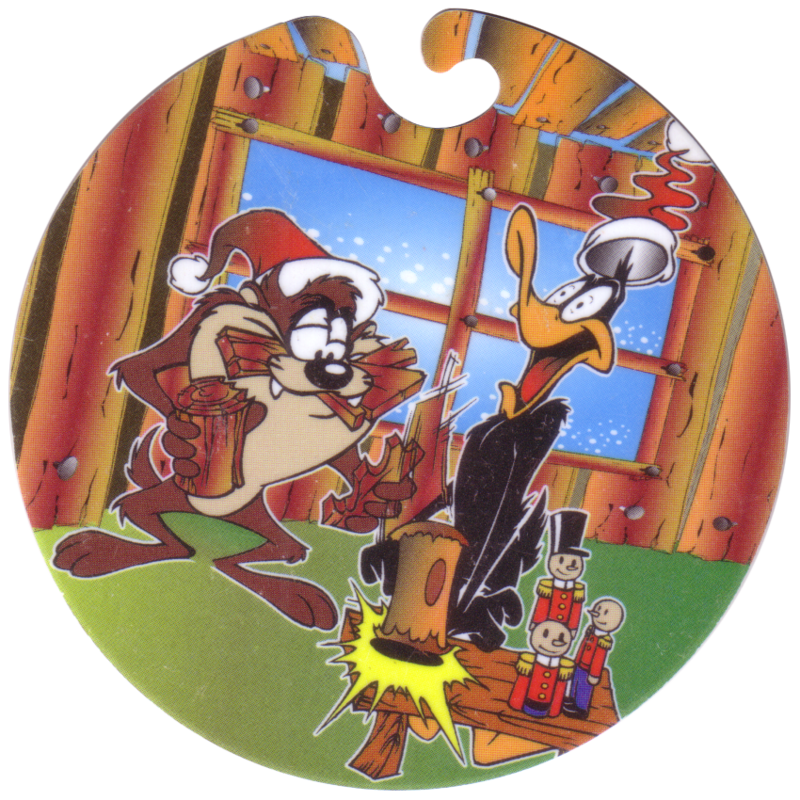 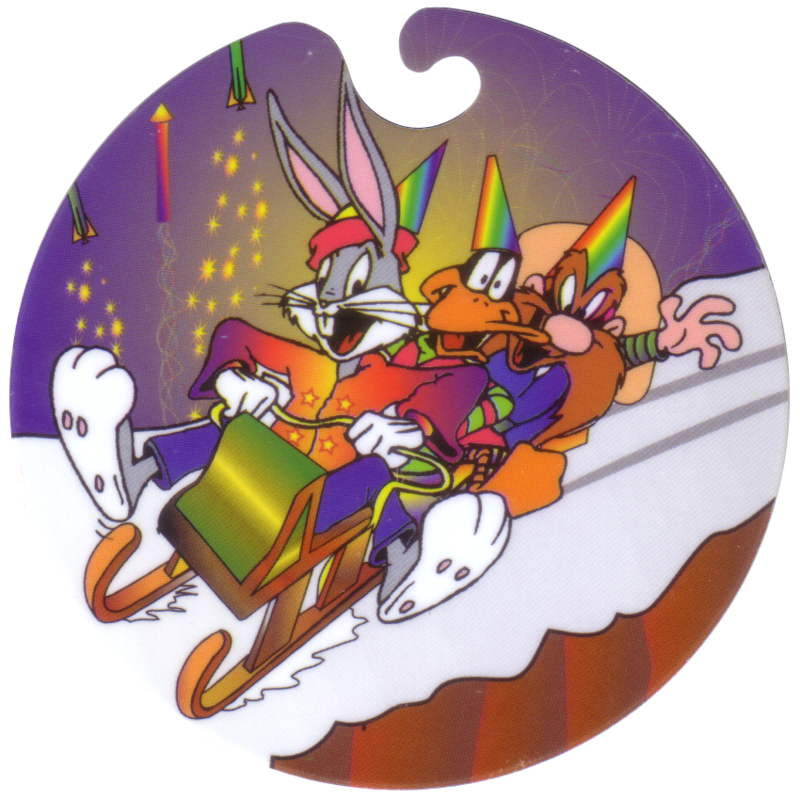 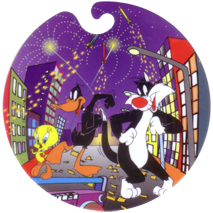 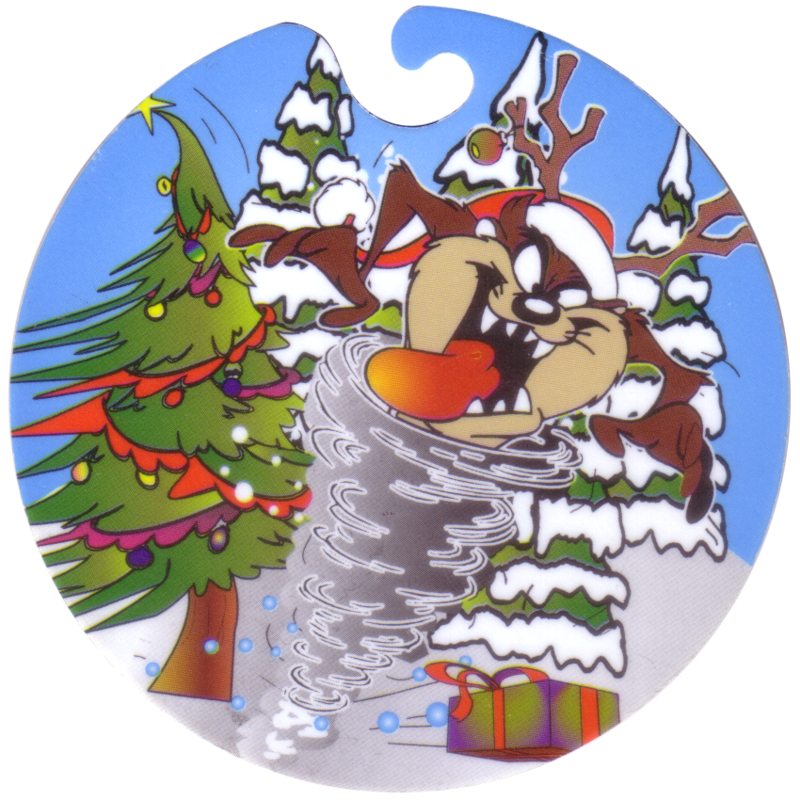 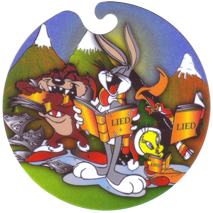 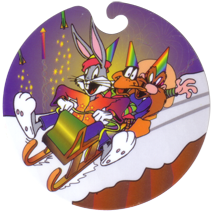 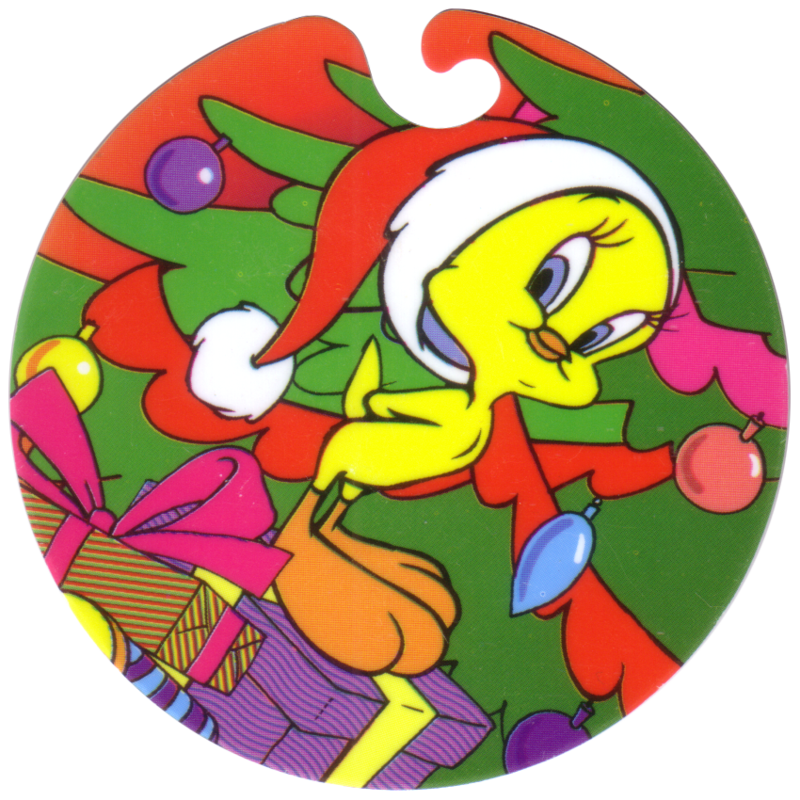 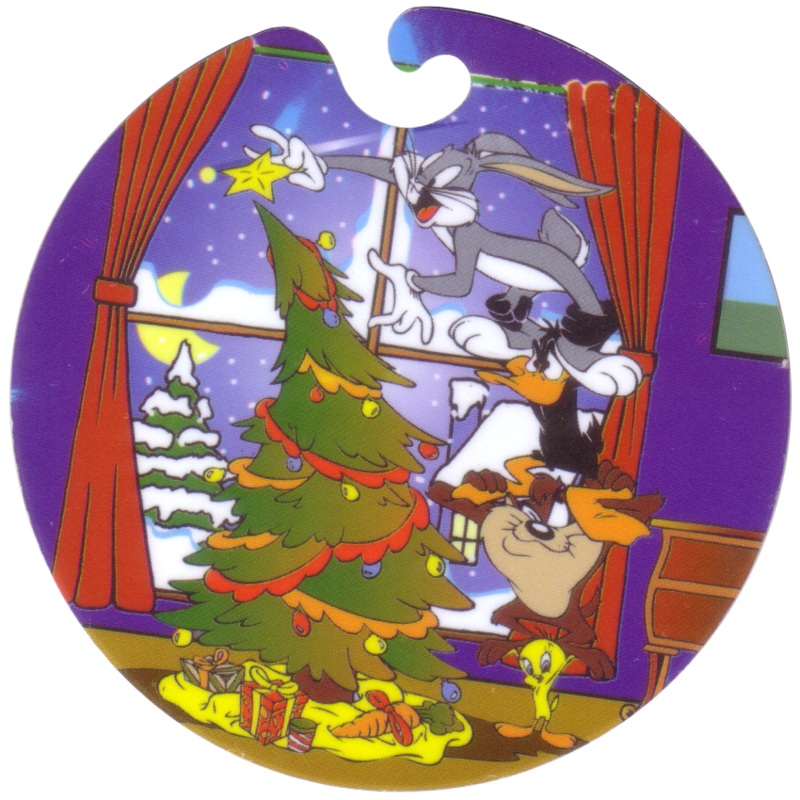 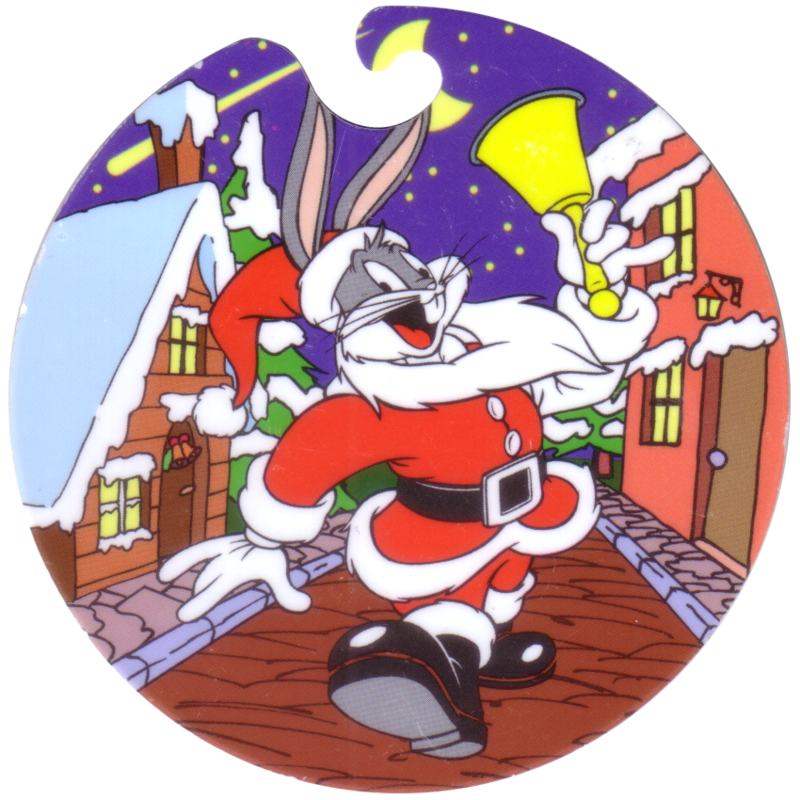 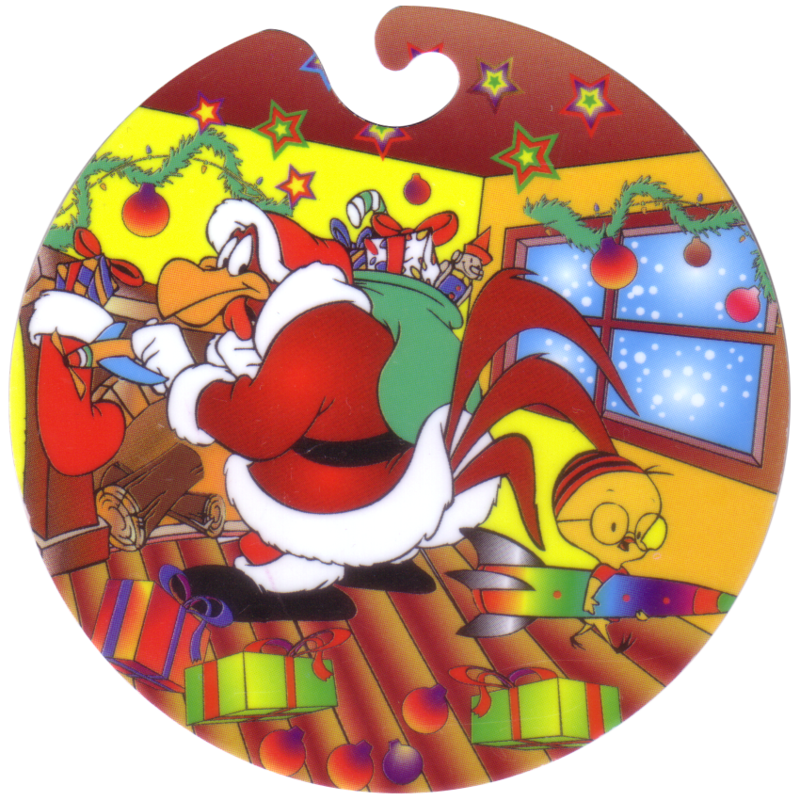 The images all feature Looney Tunes characters in various Christmas related scenes. 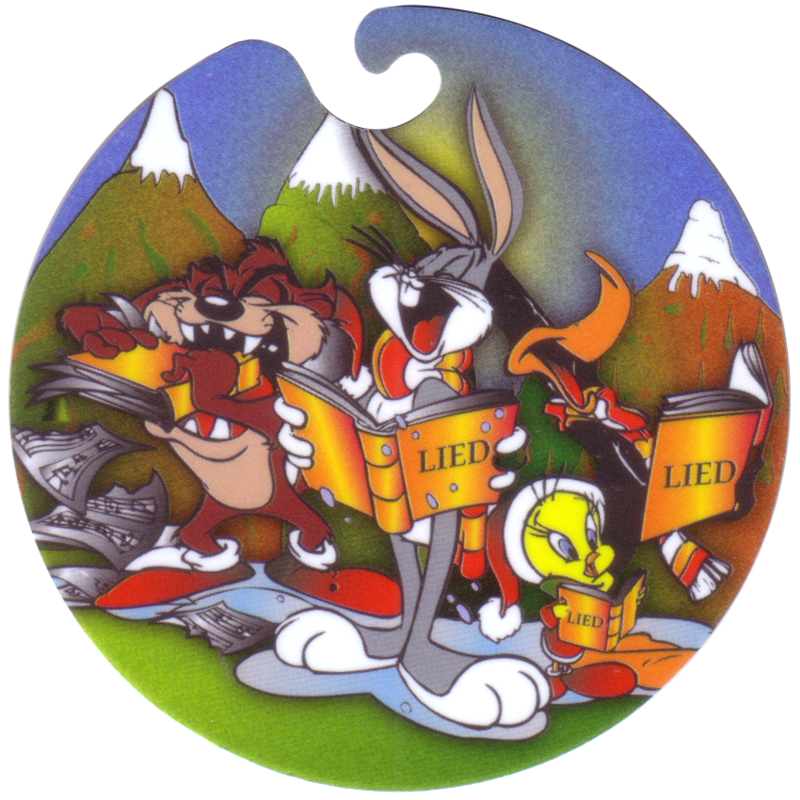 They are numbered on the back using Roman numerals, and there are three different back designs. 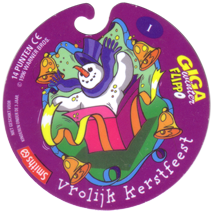 Numbers 1-4 all feature a snowman bursting out of a present, along with the text Vrolijk Kerstfeest . 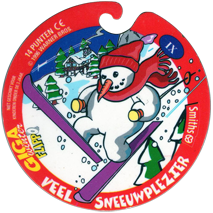 Numbers 5-7 feature a snowman dancing below fireworks in the sky, with the text Fantastisch Flippojaar! . 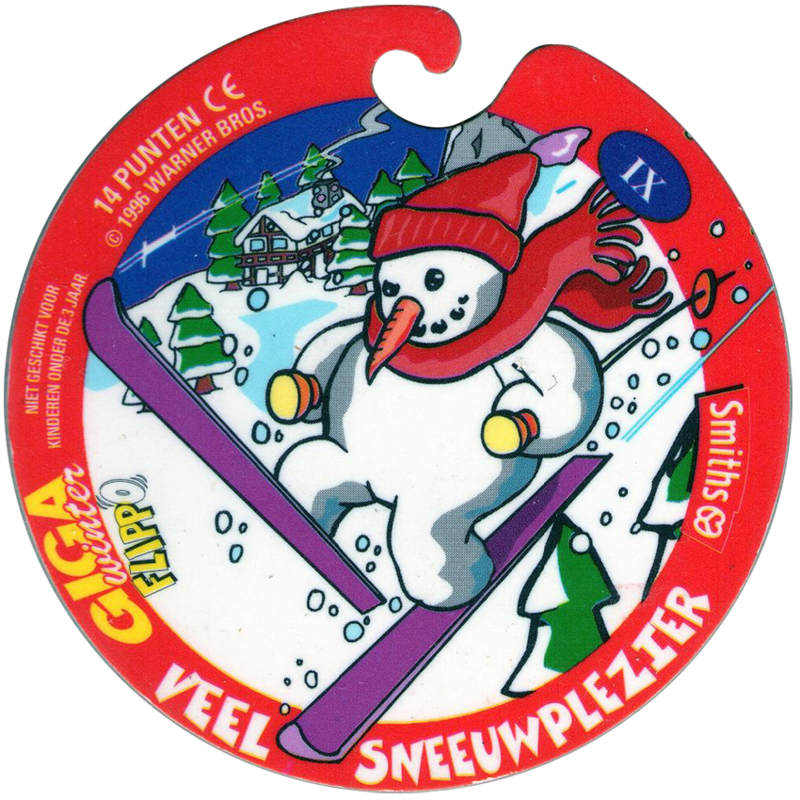 And numbers 8-10 have a skiing snowman and the text Veel Sneeuwplezier . 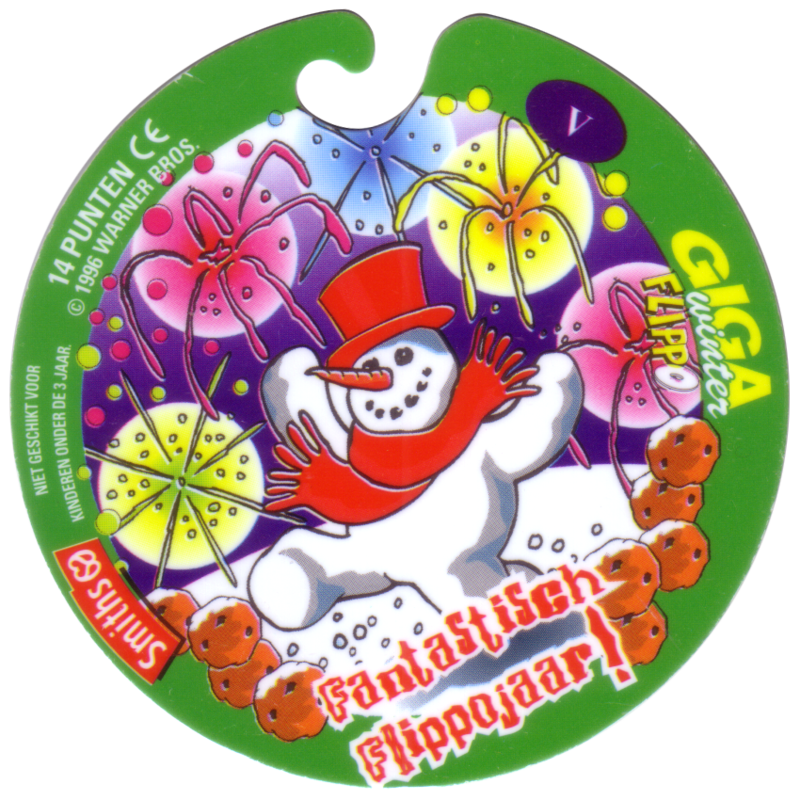 All the Flippos have a point score on the back of 14 points.